On our recent awesome adventure, we began with a cruise across the Atlantic Ocean from Miami to Lisbon, Portugal. The first part of the cruise was a tour of 4 Caribbean islands. After crossing the Atlantic, we stopped on the islands in the North Atlantic. Cape Verde was a pleasant surprise and then we hit the Canary Islands. We never expected to love the Canary Islands so much. We started on the arid but stunningly beautiful island of Lanzarote. Next we visited the green and lush La Palma. Our third island was the more cosmopolitan Tenerife. Each island was unique but there were some common themes. 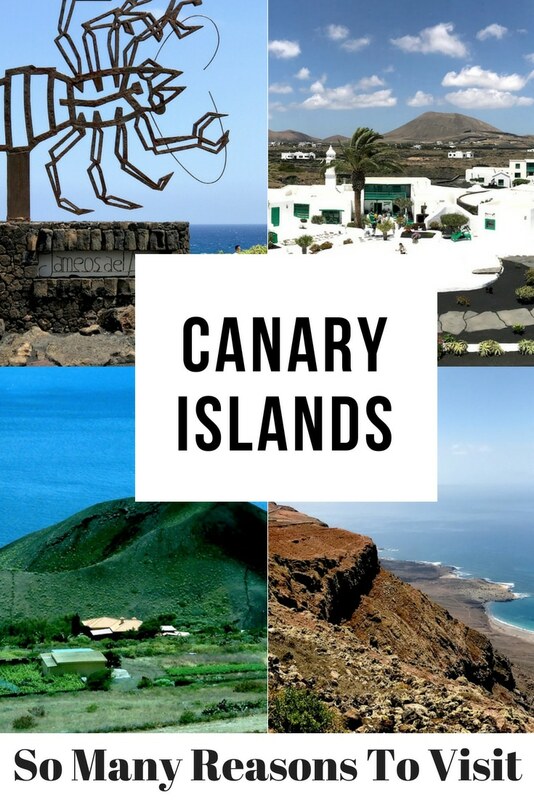 Let us share our top reasons to visit the Canary Islands! 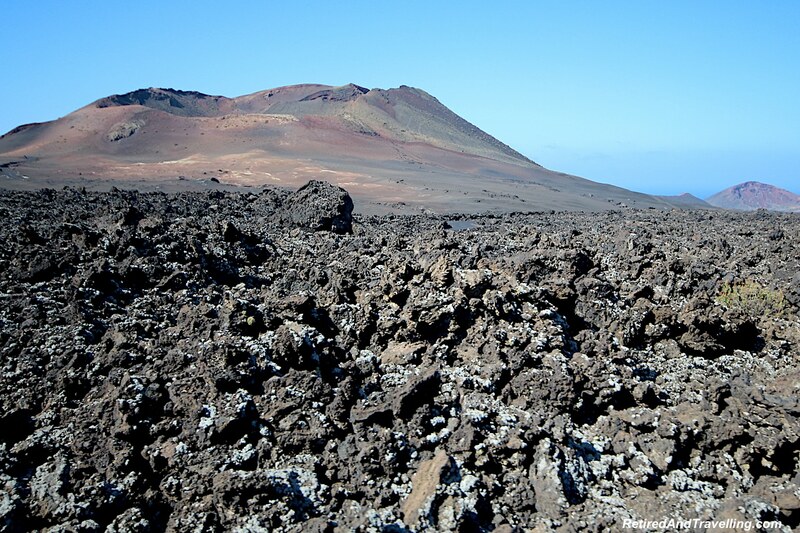 When we visited the Canary Islands we had the opportunity to see some stunning volcanic settings. 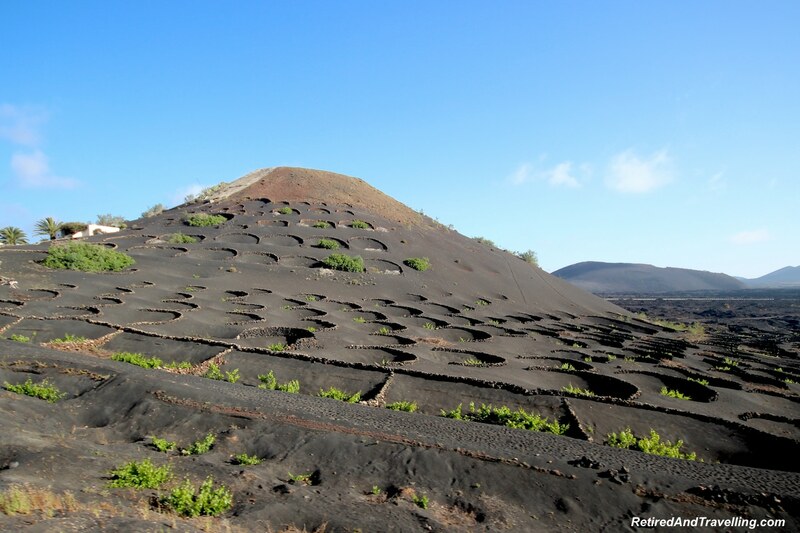 Volcanos are certainly a great reason to visit the Canary Islands. Whether you just gawk at the beauty or plan to hike them, the volcanos are a great draw. 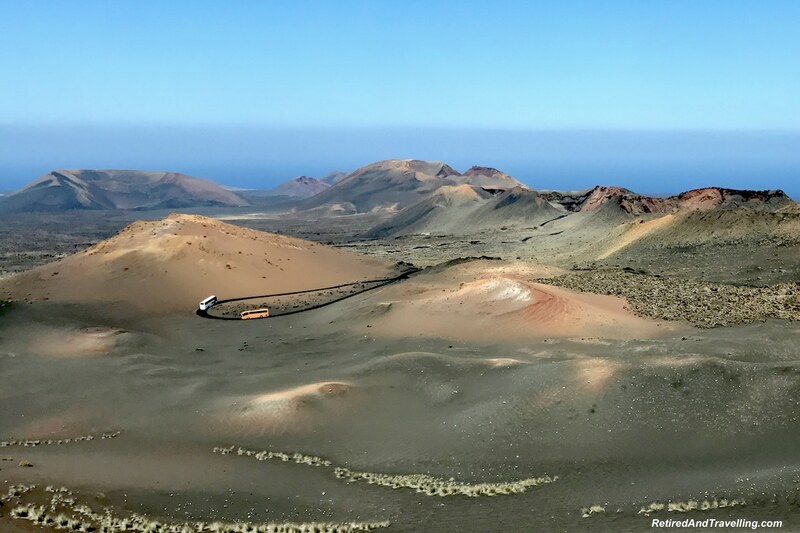 In Lanzarote, we started in the Timanfaya National Park. We drove the single lane road that wanders through massive lava fields. The view of the volcanos and colours of Lanzarote were awesome. 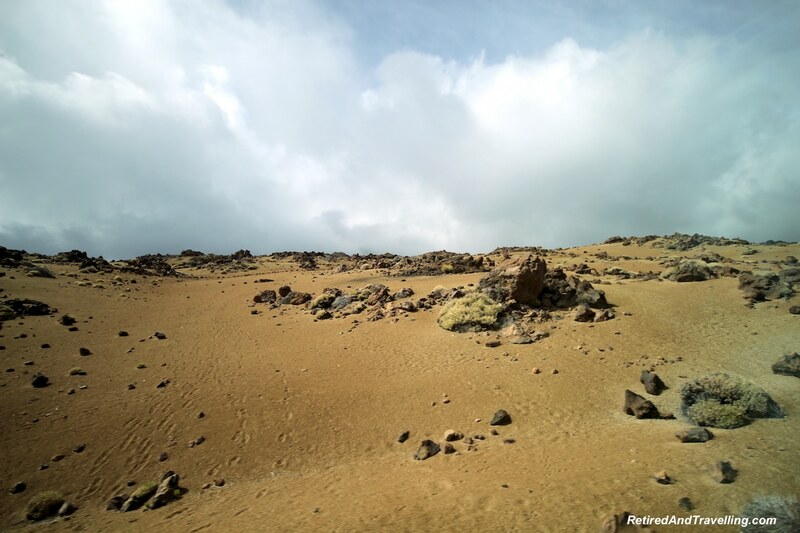 The volcanos on Lanzarote are not active, but the earth close to the surface is still very hot. When water was poured into a hole, an instant geyser formed. When we drove on the island of La Palma we got great views of the calderas. These are volcanic craters left when volcanos collapsed. 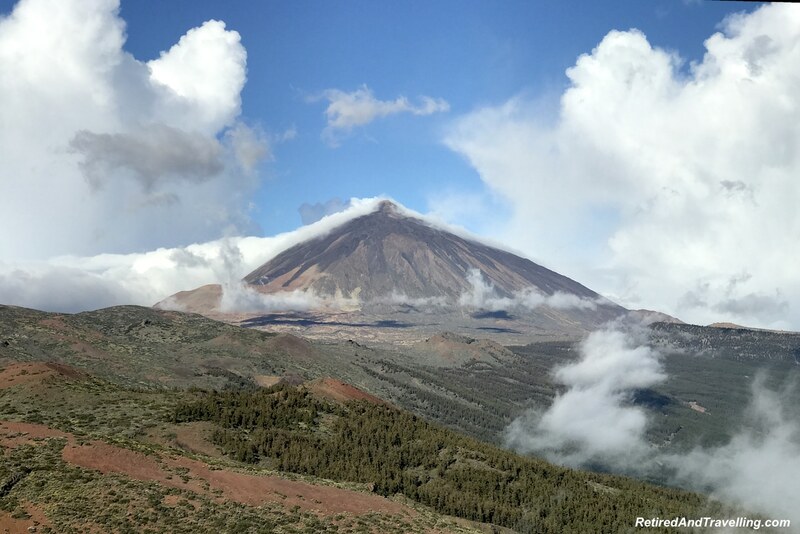 On Tenerife, we travelled along the spine of the island through the Esperanza Forest to get to see one of the highest volcanos in the world. Mount Teide teased us as it peeked through the clouds. The volcano was impressive to see. But the trip through the lava fields also left us snapping pics right and left! In many points they looked like moonscapes! 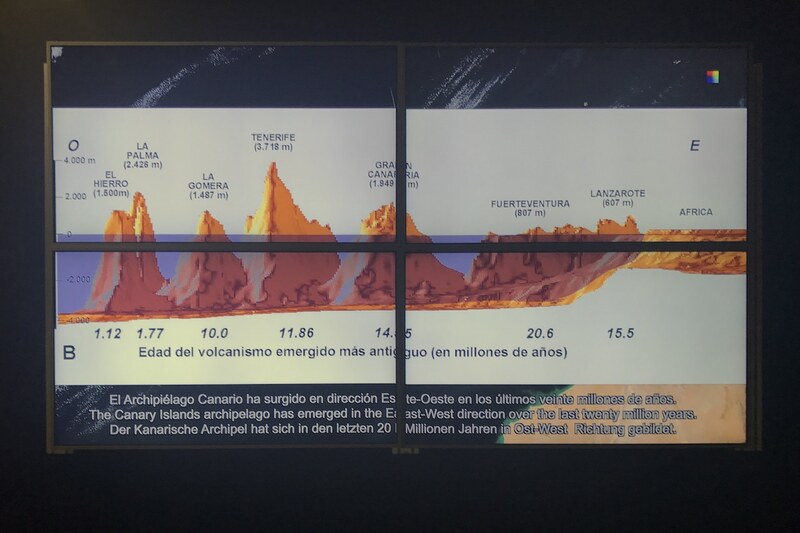 The Canary Islands information centres provided much more detail about the volcanic history of the islands. 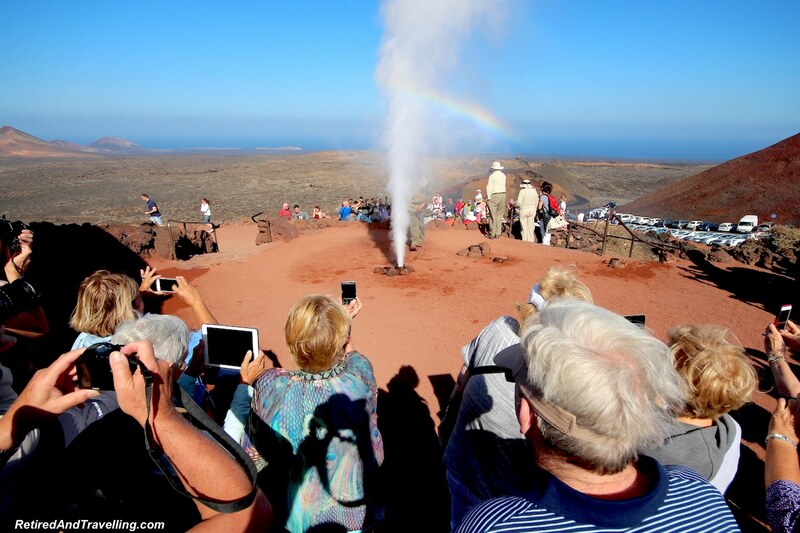 We visited 3 of the Canary Islands but you can find more volcanos if you visit the others too! The Canary Islands are part of Spain. 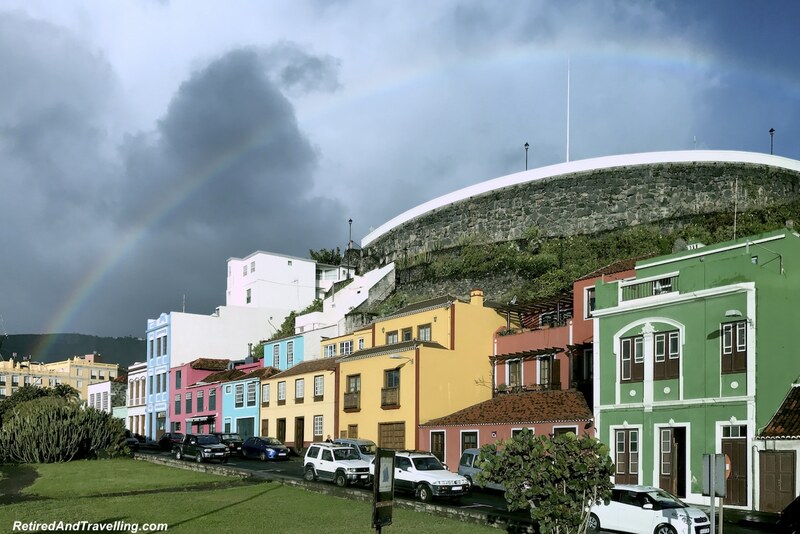 So if you are looking for stunning viewpoints, you will want to find the “miradors”. 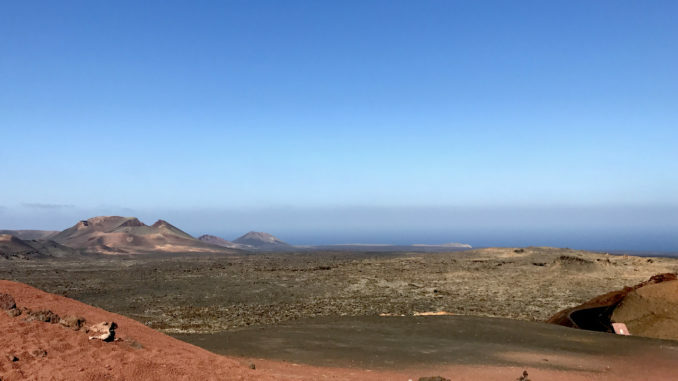 On Lanzarote, we visited the Mirador Del Rio for an impressive vista. 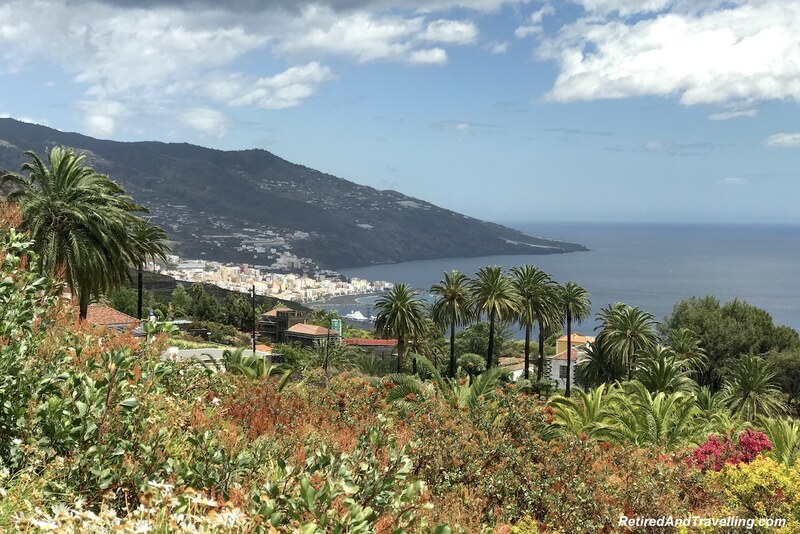 When we stopped high in the hills on La Palma, we got the greatest view out over the harbour. Arriving in the harbours of the Canary Islands, we were greeted with views that promised so much more on our visit. Everywhere we went in the Canary Islands there was colour! Houses were colourful, fields were verdant green, flowers were in bloom and rainbows filled the skies. 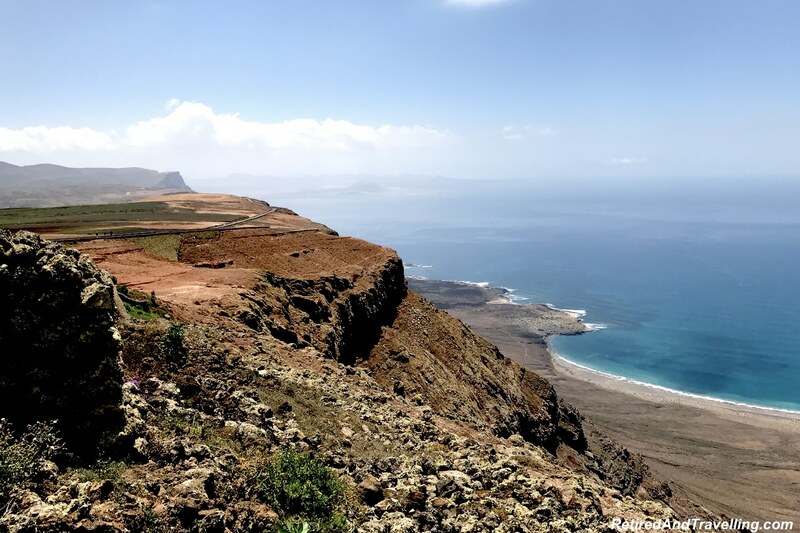 The stunning views are one of the reasons to visit the Canary Islands! When I think of blue water, I don’t normally think of islands in the North Atlantic! But we found the waters in the Canary Islands to be so blue and enticing. 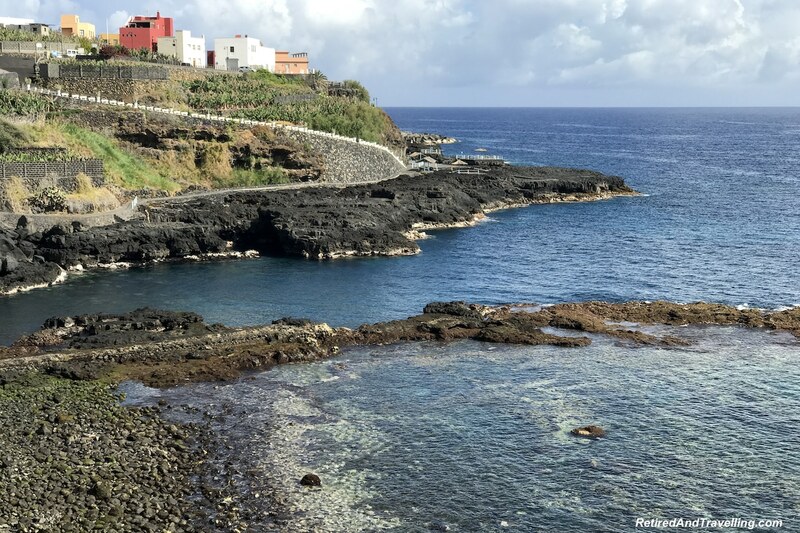 If you love crystal blue waters, this might be a good reason to visit the Canary Islands. On La Palma, we did a leisurely stroll along the Charco Azul in San Andres. The surf pounded on the cliffs. Lava fields left natural swimming pools all along the coast. We had thought about scuba diving in the Canary Islands. But then we discovered that the water temperatures in the early summer were a little cool. 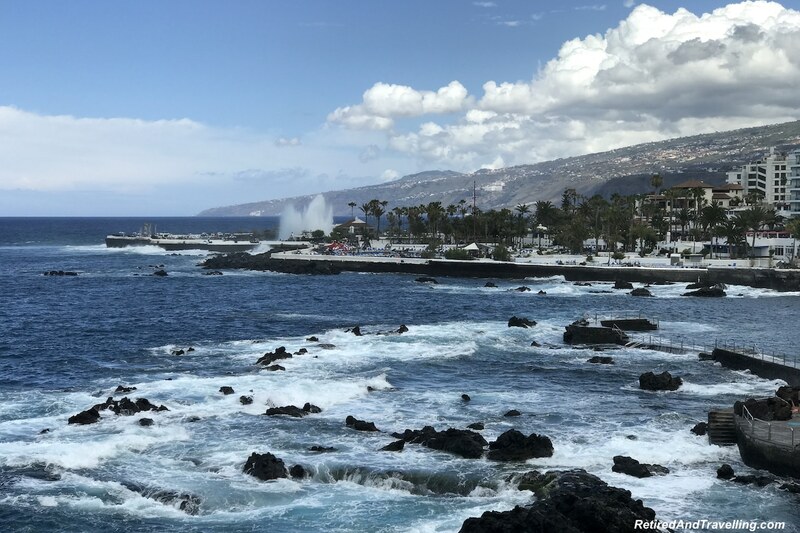 But after we saw the crystal blue waters, a return trip to the Canary Islands to snorkel or scuba dive would definitely be something to plan. 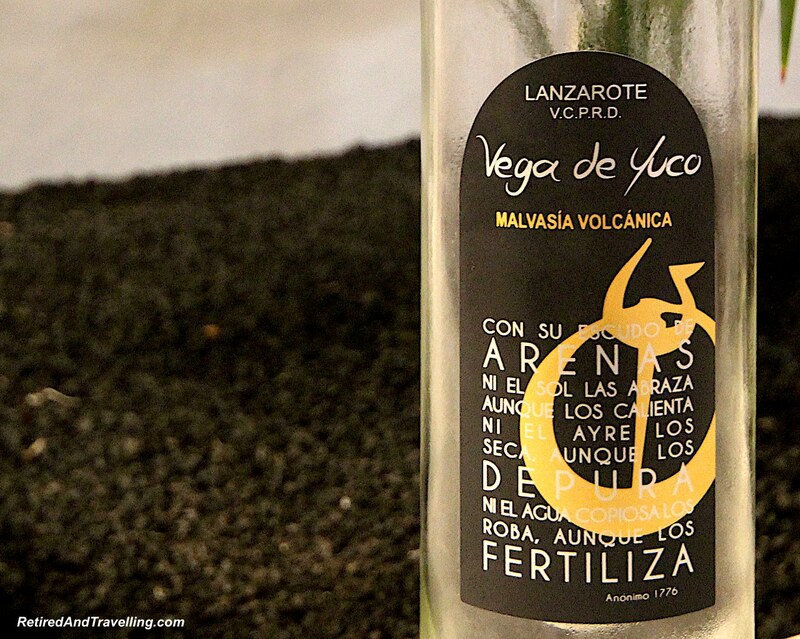 We learned that volcanic soil is ideal for producing great wines! 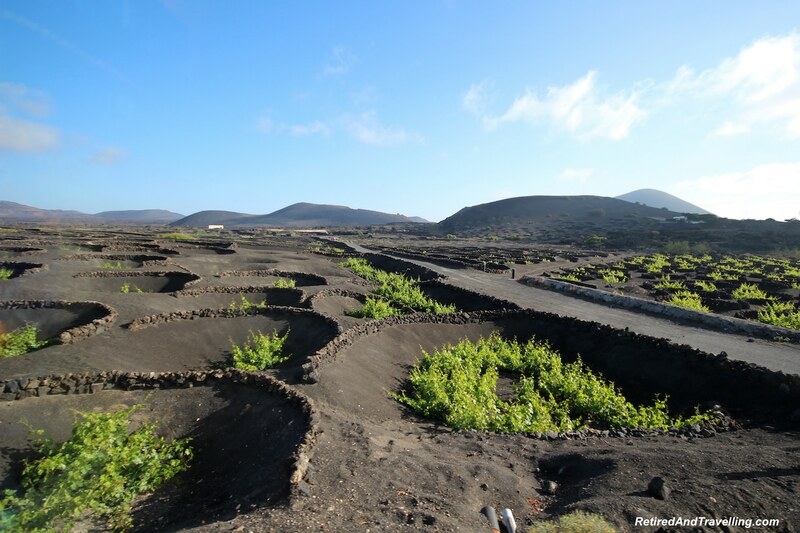 Unique vine enclosures protected the plants from the strong winds that blow over the Canary Islands. We made sure to taste test the local wine. Our winery visit got cancelled when our tour ran late but we did find places on the islands to buy wine. We always look for local coffee when we travel. Coffee is not grown on the Canary Islands we visited. But arabica coffee is grown on Gran Canaria Island. It is produced only in limited quantities. But on La Palma we did try the local Canary Island coffee concoction. Paraquito coffee is made with coffee, sugar, alcohol, cream, lemon and cinnamon. We watched a whole production to make the coffee. 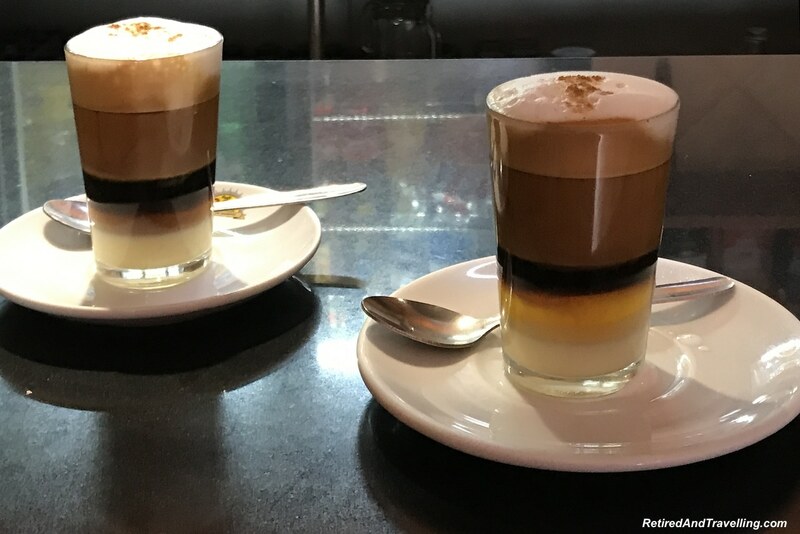 Wine and coffee may be good reasons to visit the Canary Islands. Especially since the wine and coffee are not always easy to find off the islands! 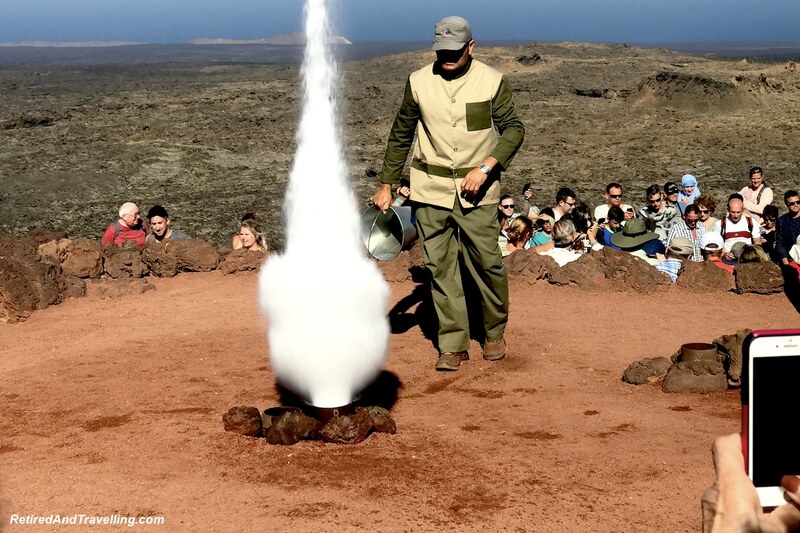 The variety of things you can do is one of the reasons to visit the Canary Islands. We only did a small taste test of three islands but left with a long list for a return visit. 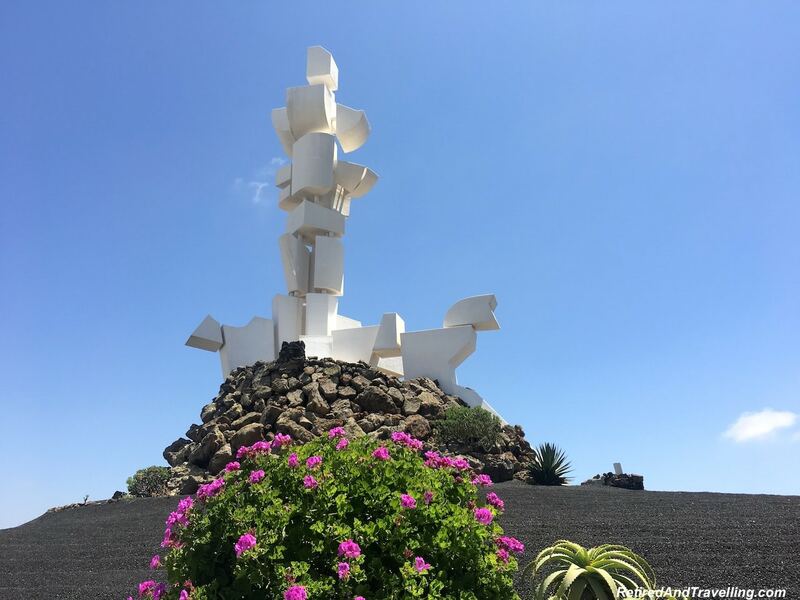 If you visit Lanzarote, you will find the art of César Manrique everywhere on the island. He was a major force in the development practices on Lanzarote before his death. He lobbied for development of “sympathetic tourism” – no high rise hotels. And his art was everywhere. We had lunch at Casa Meseo Al Campesino. This is both a museum and a restaurant. We saw the 15 metre sculpture of ‘Fecundidad’ or ‘Fertility’ that dominated the scenery. It looked different as we moved about and saw it from different sides. Climbing to the top, we got yet another impressive view of the island of Lanzarote. 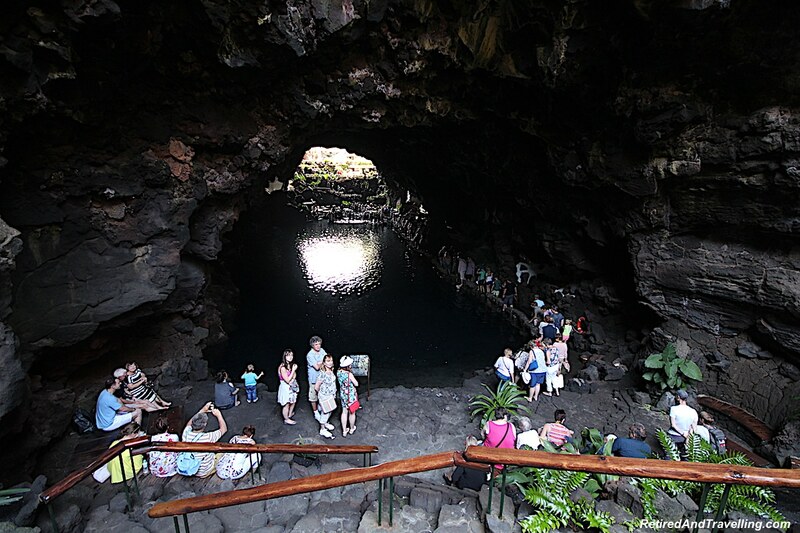 Heading to the other end of Lanzarote, we visited the Jameos Del Aqua grottos. “Jameos” refers to the large opening created in a lava tube when it collapses. Jameos Del Aqua is part of a lava tube about 7km long formed by the Malpais De La Corona volcano. 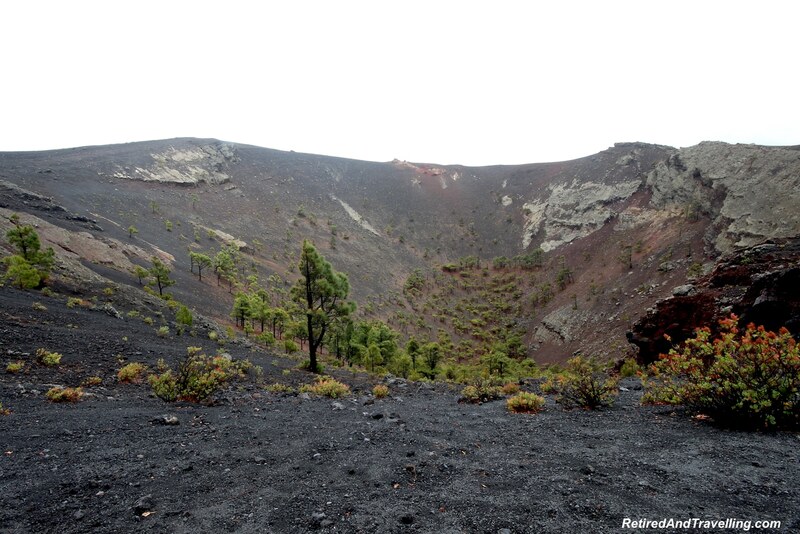 On La Palma, we visited Los Tilos. 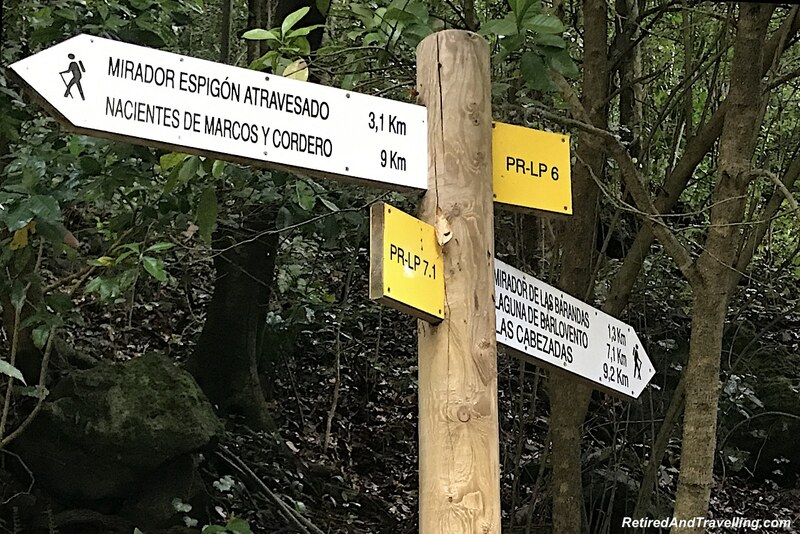 This is a UNESCO biosphere covered by the largest, most pristine laurel forest in the Canary Islands. If you are a hiker, there are numerous paths to try. 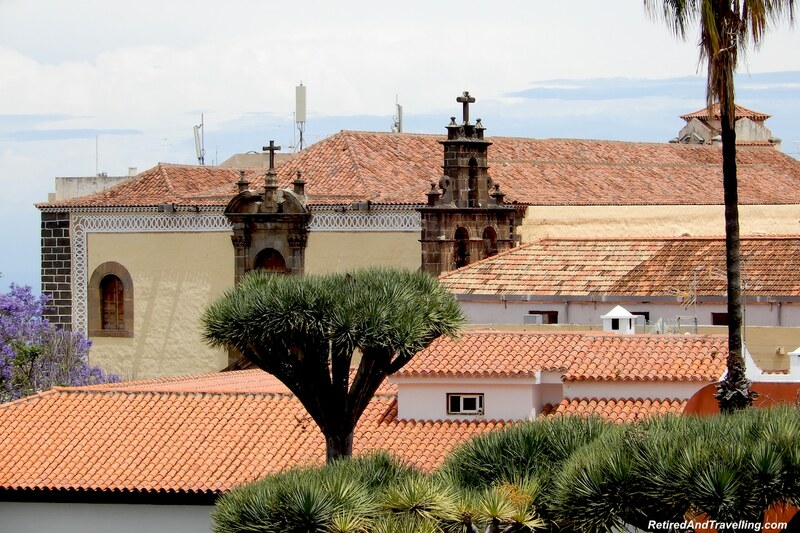 When we visited Tenerife, we did a great walking tour of the colourful town of La Oratava. 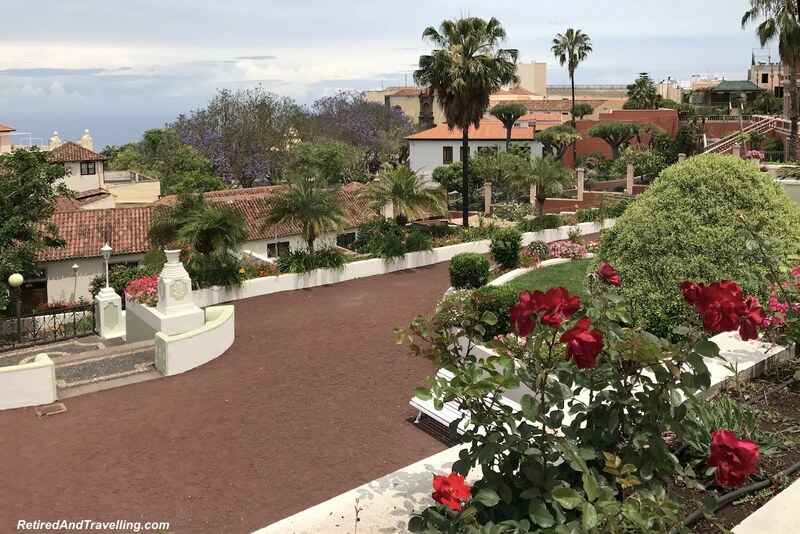 We strolled through the hilly cobblestone streets and spent some time visiting the massive tiered gardens and the interesting House of Balconies. 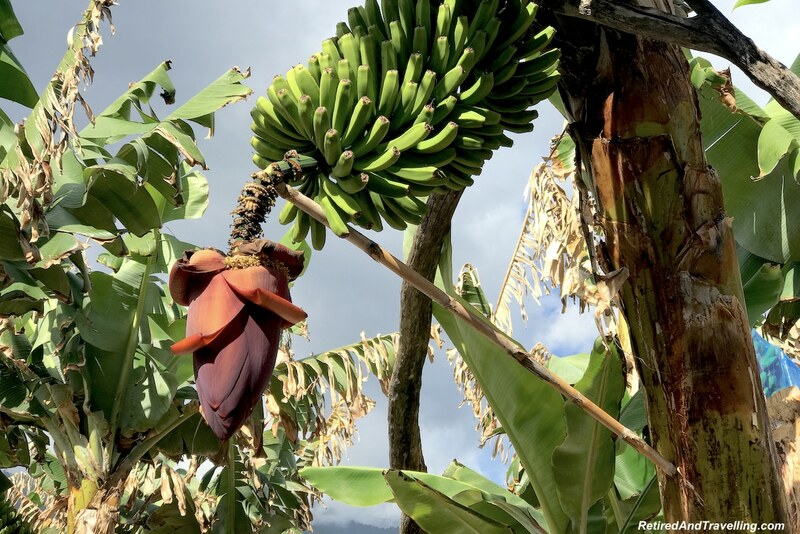 Bananas are a major crop on many of the Canary Islands. 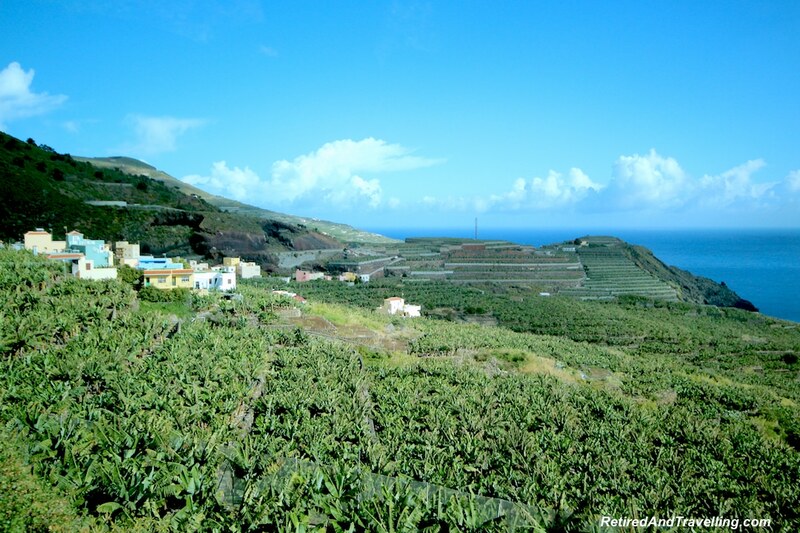 On La Palma, terraced green fields overflowed with banana plants. 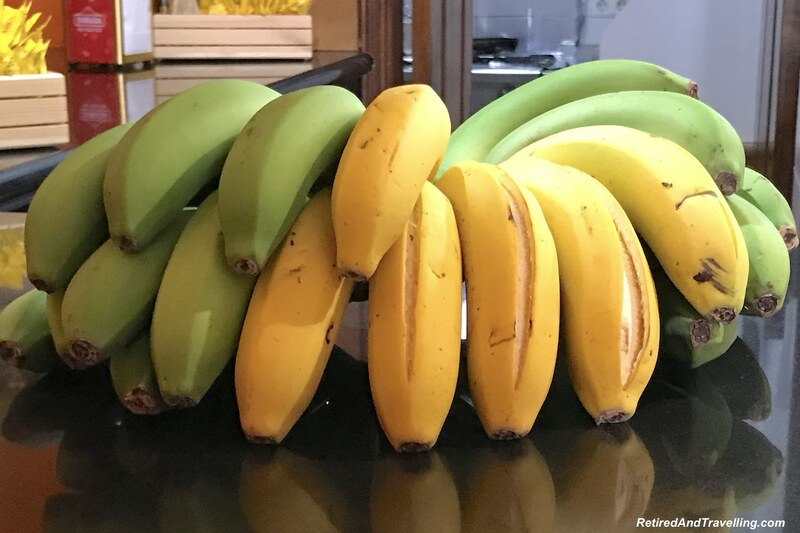 After sampling the bananas, we could attest to the fact that they were delicious. Much sweeter than we find at home. There was certainly a variety of things to see and do in the Canary Islands. We only visited 3 of the 7 larger Canary Islands. The cruise ship stops were long days and we crammed a lot into our visits. But we left with a long list of things to see and do on a return visit. The islands were so very different from each other. Each was magnificent in its own right. Lanzarote was stark and stunning. 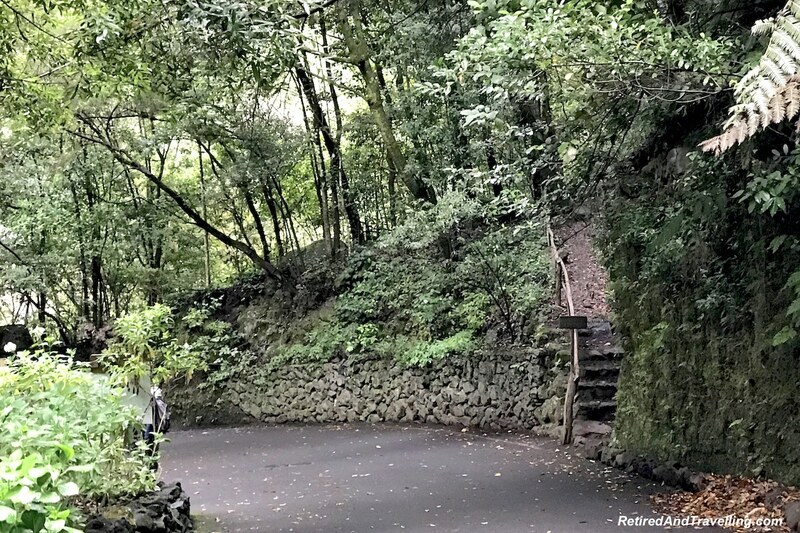 La Palma was verdant and green. 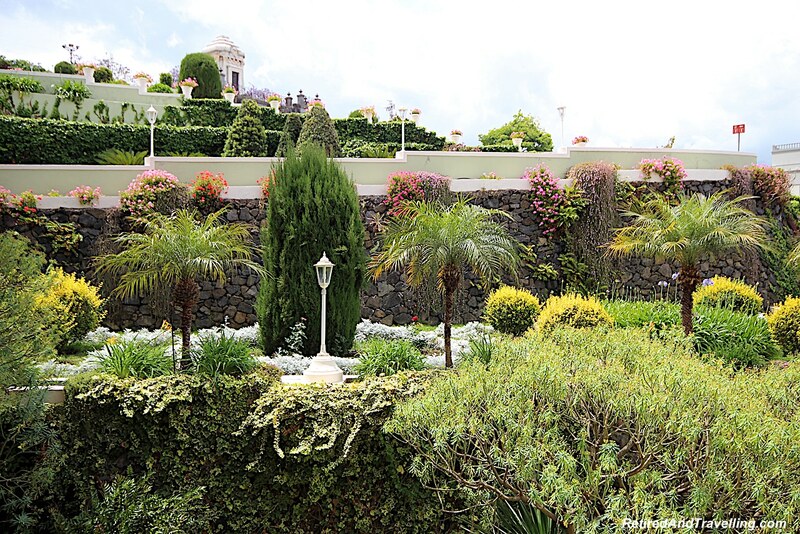 Tenerife offered the variety that a large tourist destination offers. It was not hard to think of reasons to visit the Canary Islands again. It is easy to get to the Canary Islands. We visited the Canary Islands by cruise ship. But it is an easy flight to get to the Canary Islands from mainland Europe and you can even get direct flights from North America. Ferries are available from Spain and Portugal at some times of the year. 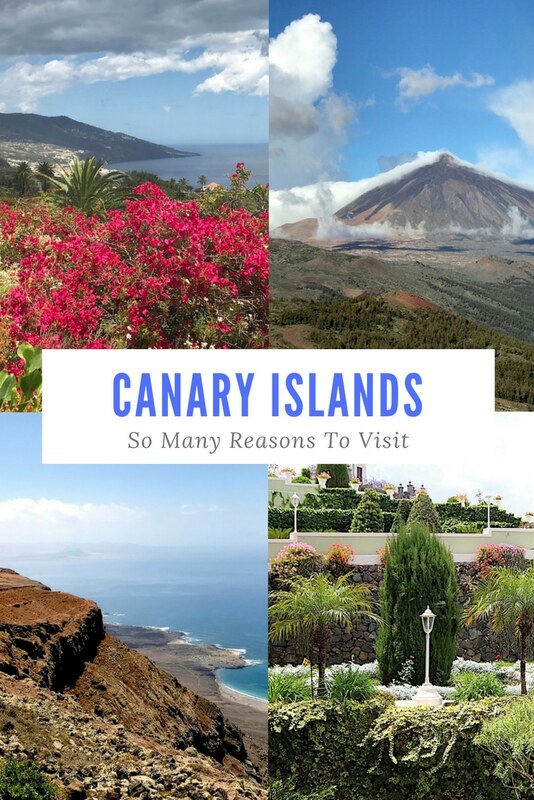 What are your top reasons to visit the Canary Islands? 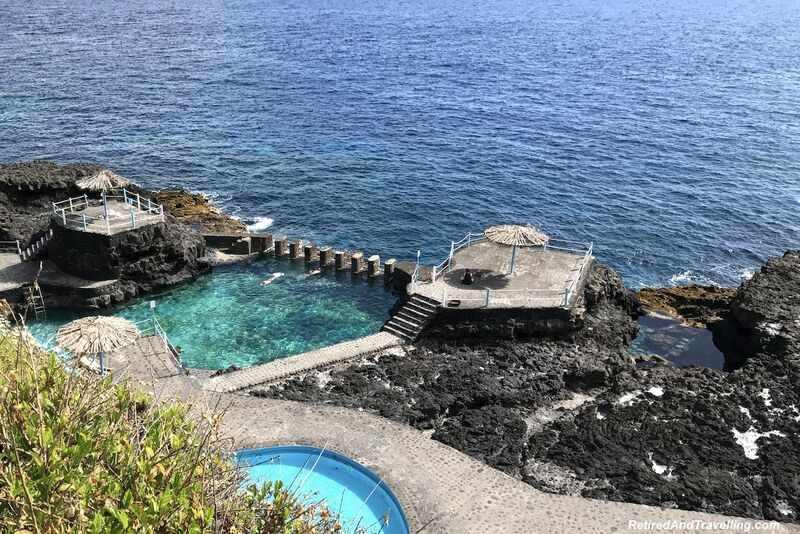 What other spot is your favourite in the Canary Islands? 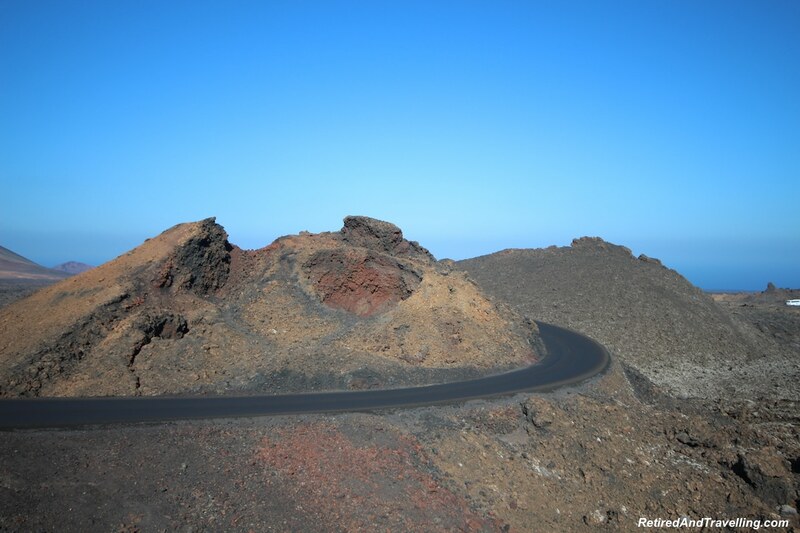 The volcanic landscape is what appeals to me about a visit to the Canary Islands, and your photos of the drive in Timanfaya National Park look impressive. The views everywhere are so striking. Interesting that the soil is good for winemaking, and how unique the little dips in which the plants are protected. Los Tilos also looks like a must-see. We love traveling to islands and never considered the Canary Islands, but I will now when we go to Africa! Lanzarote reminds me a bit of the Galapagos from the lava fields to the lava tubes. As divers, it sounds like we’d need to go in summer. I saved and pinned your post for my future reference. Thanks! The Canary Islands have so much to offer – such a diversity, great beaches and, of course, all those volcanoes. 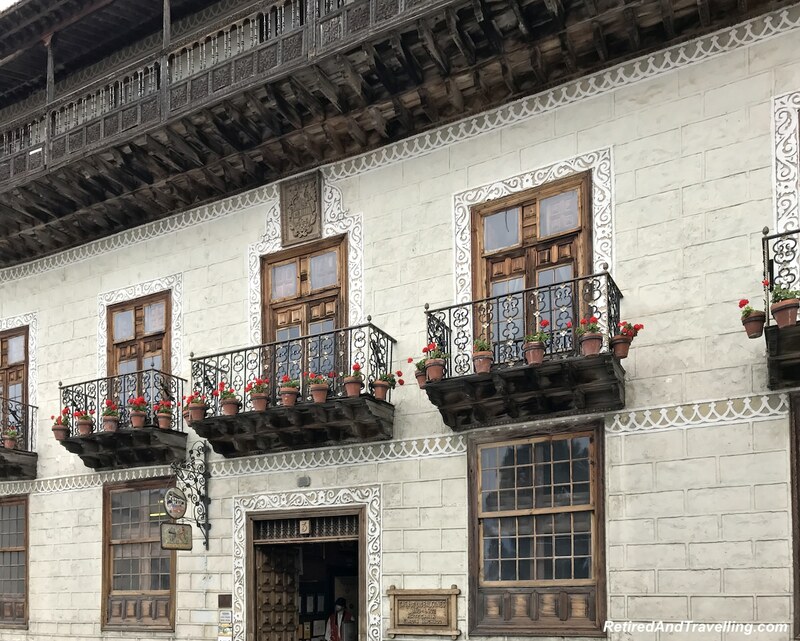 It’s too bad that with European travellers it has a rather touristy all-inclusive rep – which is totally unfair, you only have to pick a different corner and you find yourself in a secluded, beautiful place. I really love to visit La Palma. 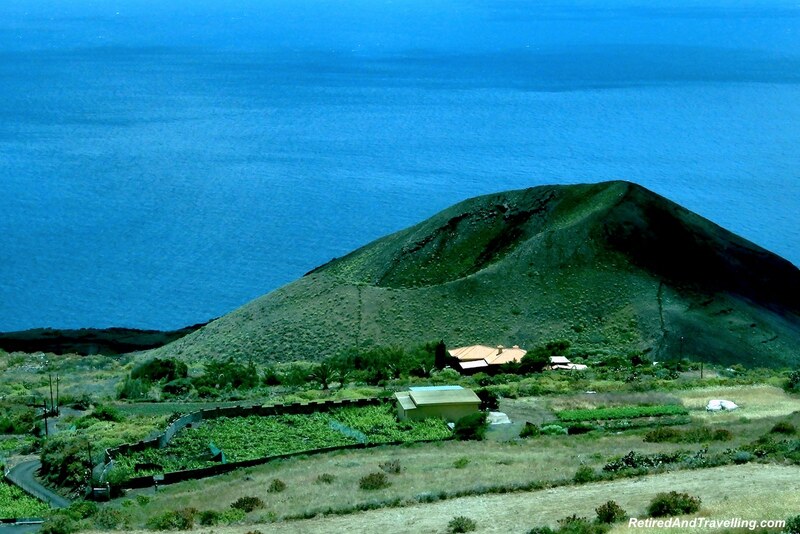 It will be a feast for the eyes as the island seems to be the most scenic of all the Canary Islands. The sunsets, the greens and the colorful towns, it seems like a paradise for me! I didn’t know La Palma had calderas. How cool! (Or hot.) Timanfaya National Park in Lanzarote must have been amazing, too. I’d love to cruise the Canaries. The Canary Islands are indeed a lovely place with so many reasons to head there. For us, one of the riveting attractions would be the volcanoes. The way a geyser gets formed on pouring water is indeed incredible. These wonders of nature are something that we would love to experience apart from the breathtaking landscapes and views. 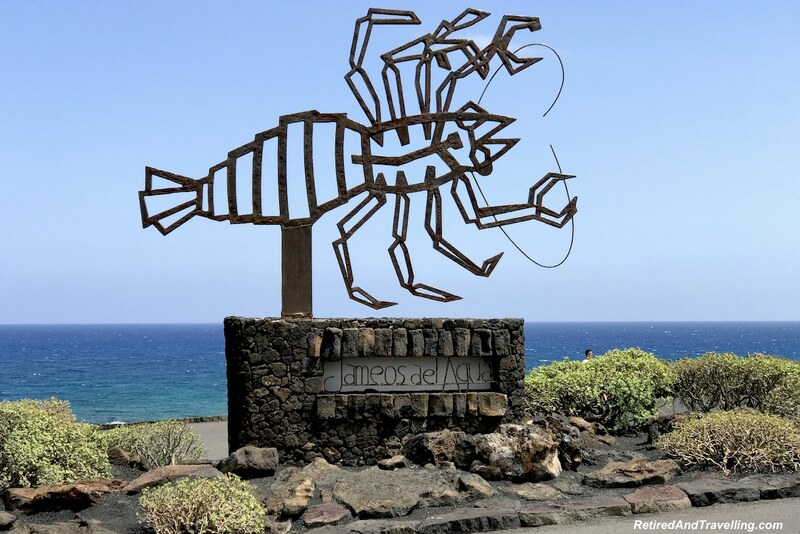 I went to Fuerteventura earlier this year and loved it, I didn’t have chance to visit the other islands though – I had no idea that wine was produced here! The water was lovely, you’re right, and Fuerteventura was great for surfing too!